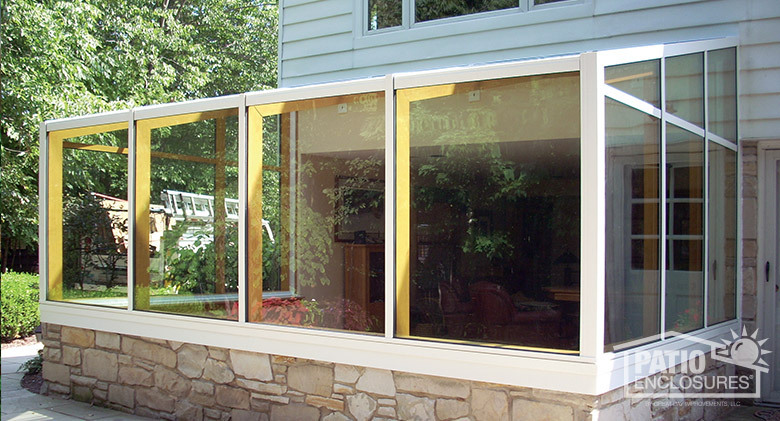 Patio Enclosures® Solariums are made of glass from top to bottom — even the roof is glass. 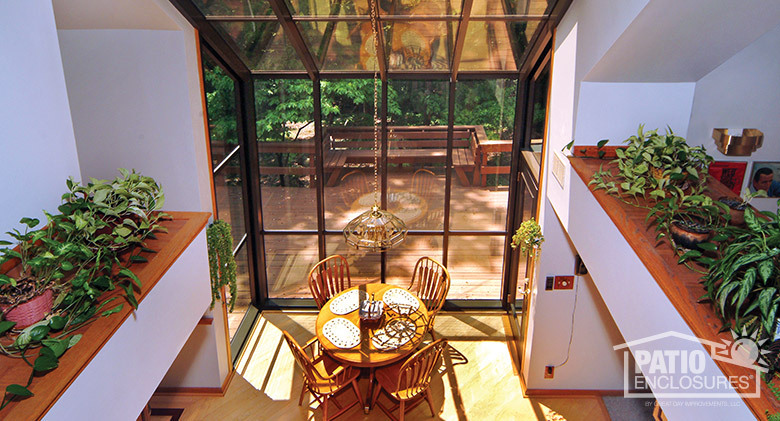 Solariums allow you to enjoy the most view of the outdoors. 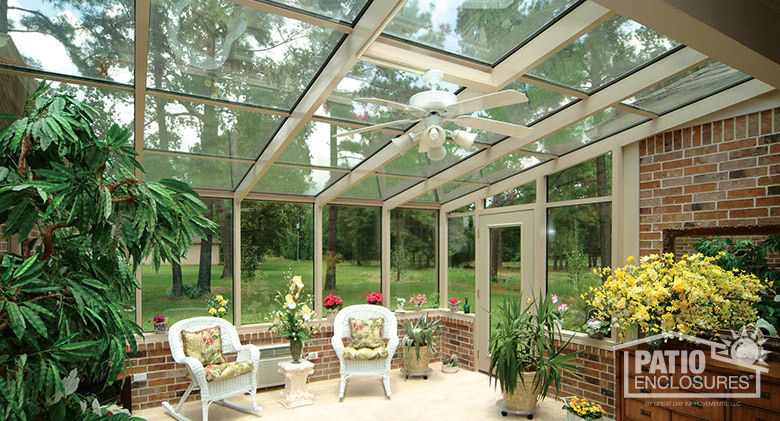 Each solarium is custom built with insulated, energy-efficient glass to improve heating and cooling performance. 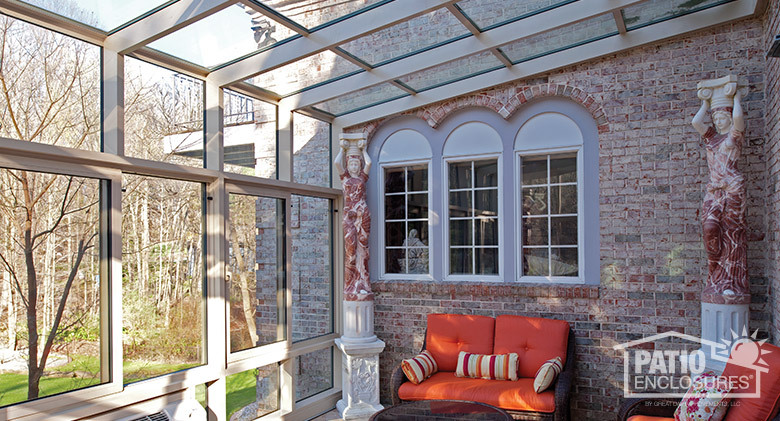 Bronze solarium addition. 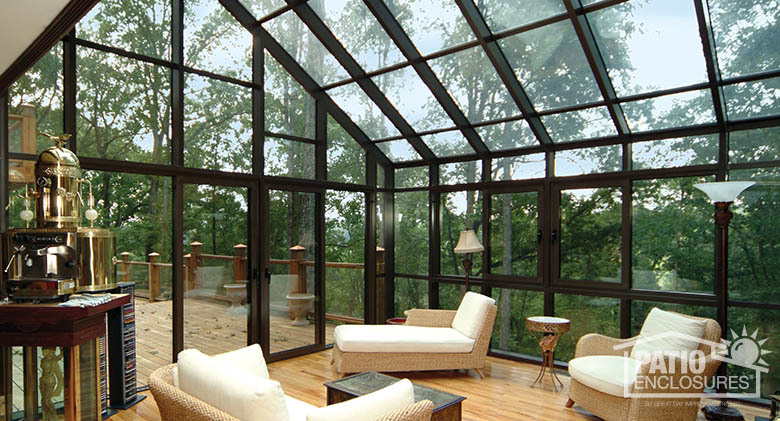 Imagine relaxing and enjoying the amazing view from this room! 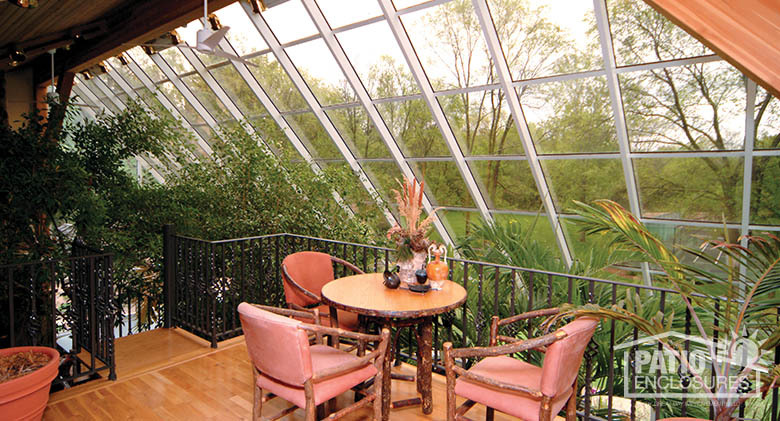 A true work of art - this solarium is breathtaking! 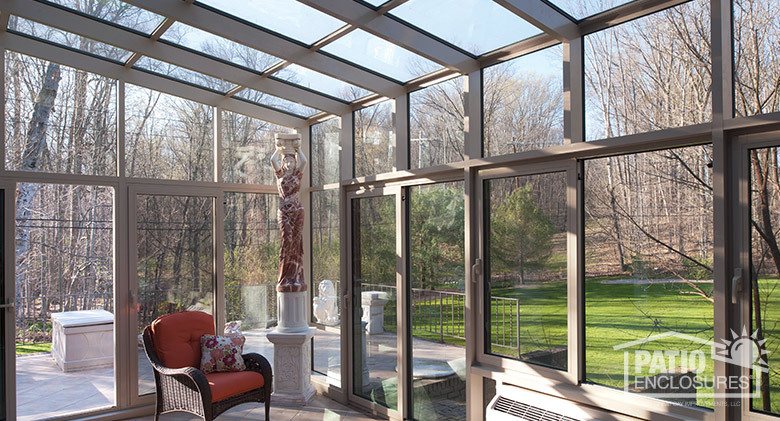 One-of-a-kind custom solarium. 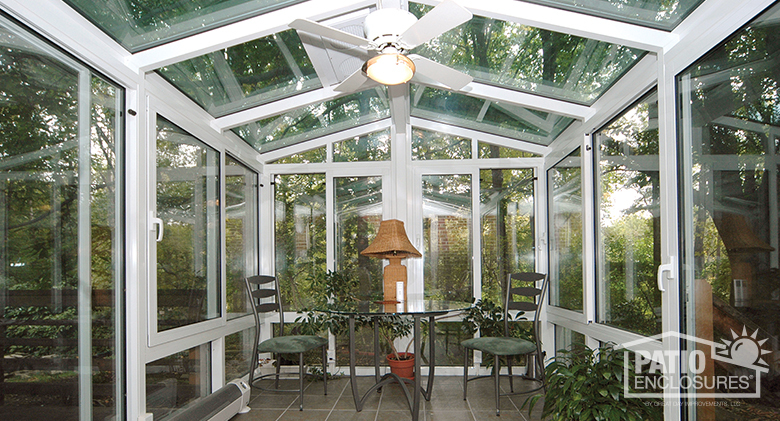 One-of-a-kind custom solarium from the inside. 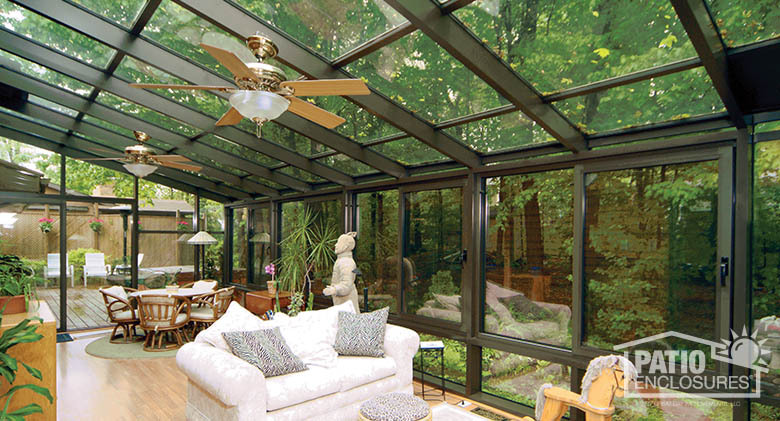 Create an inviting space for your home. 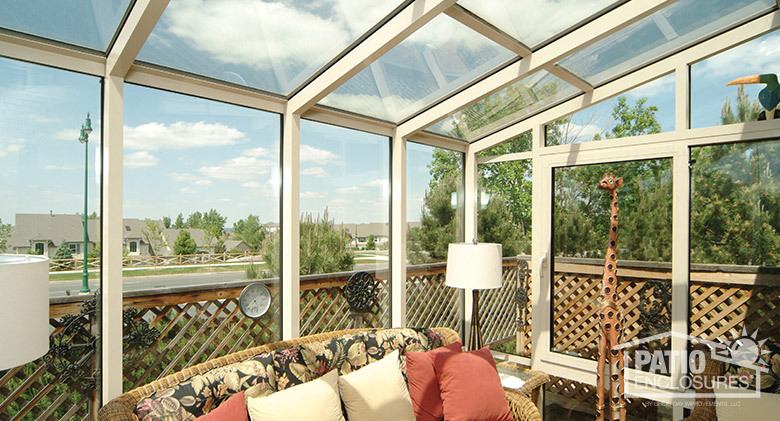 Relax and enjoy the view! 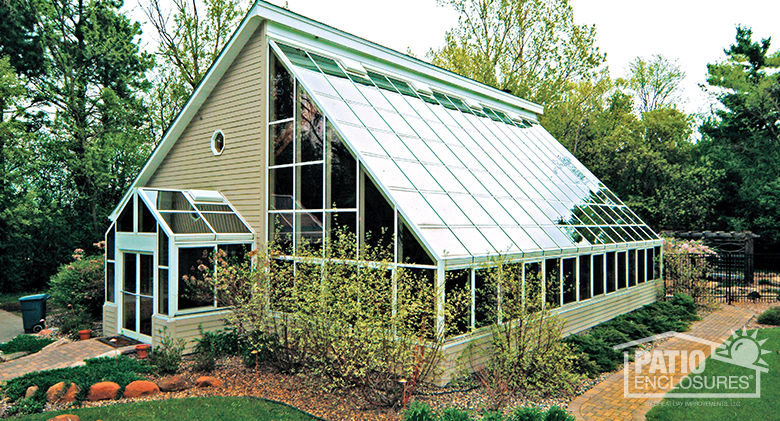 Gable roof solarium in white. 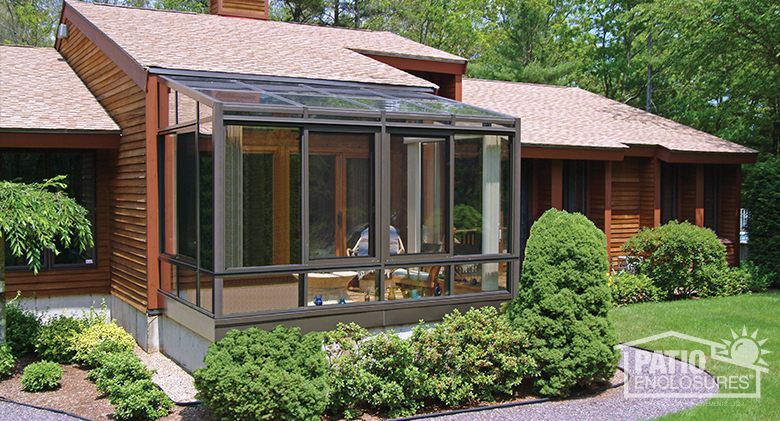 Single-sloped roof solarium in bronze. 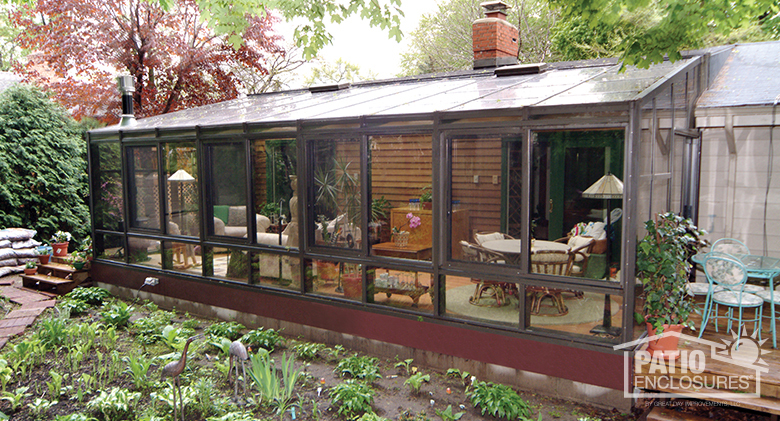 Single-sloped roof solarium in bronze. 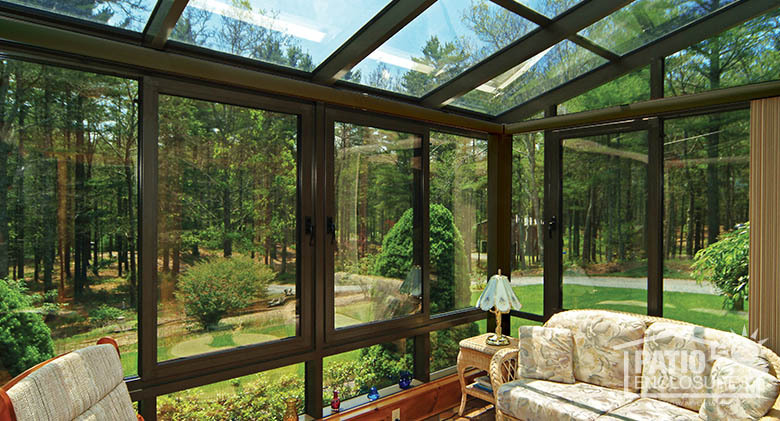 Enjoy the abundant light a solarium brings into your home. 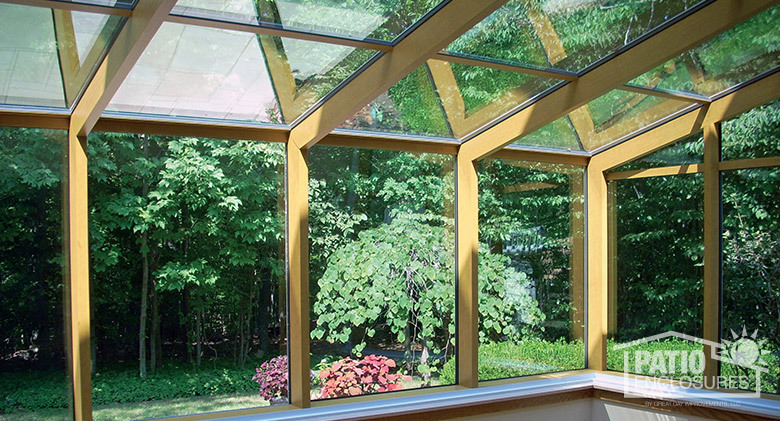 Single-sloped roof solarium in sandstone. Custom breakfast nook. 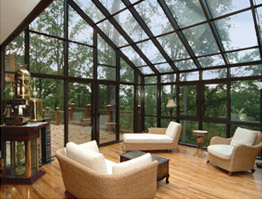 Glass patio room addition. 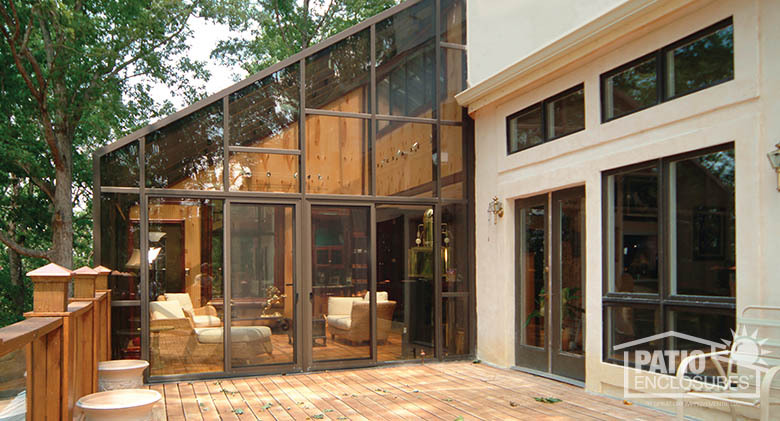 Glass patio room addition Wood-grain aluminum gives this room a stunning look. 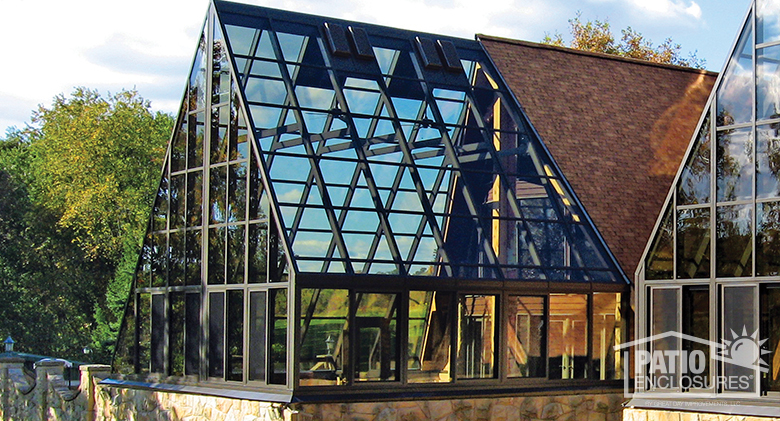 Wood-grain aluminum offers the look of wood with the durability of aluminum.